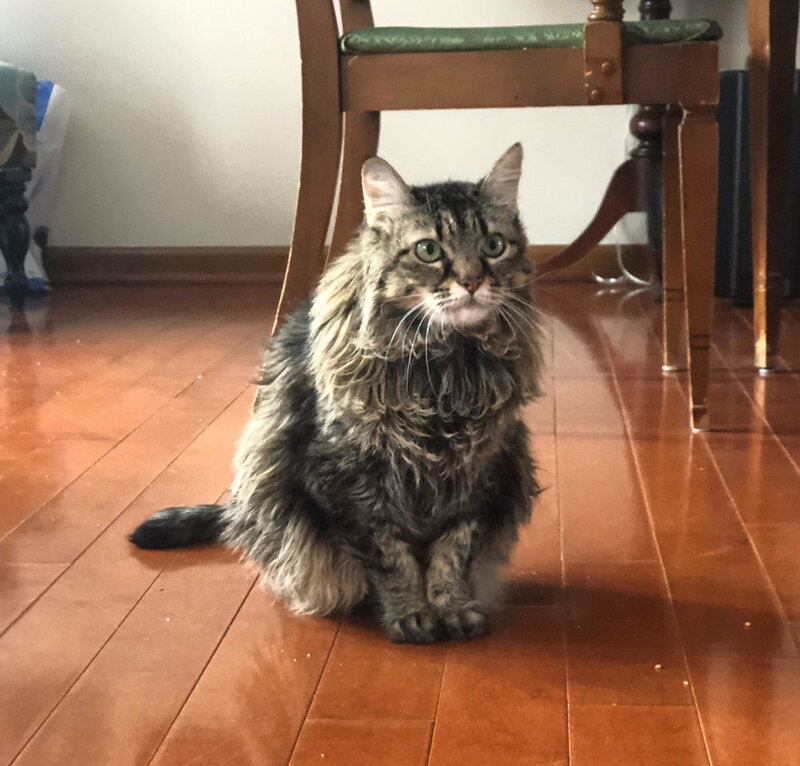 Marzi is a 14 year old, domestic long hair cat from Northville who presented to us for weight loss, inappetence, constipation, vomiting, lethargy, and hind-limb weakness. Due to her vet-related anxiety, her mom was unsure how many treatments or diagnostics could be performed on her in the hospital, let alone at the house. After our Fear-Free certified staff performed a comprehensive evaluation, in-home bloodwork, diagnostic ultrasound, and urinalysis, Dr. Verma diagnosed her with diabetes with secondary neuropathy, chronic renal disease with secondary dehydration, a urinary tract infection, and osteoarthritis. Medications, diet, and hydration helped relieve her constipation / vomiting and improve her appetite. After treating Marzi’s urinary tract infection, her diabetes was able to be controlled with at-home insulin injections. This involved in-home glucose checks, glucose curves, and fructosamine tests, which helped Dr. Verma determine an accurate insulin dose for Marzi. Even though she remained somewhat weak in her hind legs when her blood sugar was coming under control, her diabetic neuropathy even resolved after pulsed electromagnetic field therapy and rehabilitation exercises. Previously, she was hard pressed to leave her bed. Now look at her go! Personalized Veterinary House Calls and Rehabilitation is a mobile veterinary service that provides in-home geriatric, rehabilitation, behavior, and special needs care in the greater Ann Arbor and Detroit Areas.